Sunday was the first test of the season…the Jolly Jaunt 5K in Boston. This was a really nice event run out of the Boston Common (~1,000 racers). Race day was a crisp 25 degrees with clear skies. Definitely not the 90+ degree humidity I had dealt with the last time I raced 8 weeks prior in Kona. For sure, not the same body I raced with back then either. About 14 pounds to the heavier and just two weeks of real training under my belt guaranteed it wouldn’t be my fastest day but rather a day to use as a benchmark going forward from, a comparison to previous years, and an assessment of aerobic fitness (after correcting for the major weight difference). The goal going in was 17:45-18:00. I went 17:45 so was pleased with results overall. All of the other QT2 folks (Pat, Molly, Chrissie, Tim, Cait, and Keith) had good days also considering where they are in training which always makes me happier than my own results alone. Lots of work to do looking forward for everyone! Next Up: The Wicked Frosty 4-miler on New Year’s Day where the goal will be sub 22:45. 3 pounds lighter and a bit more aerobic fitness should do the trick! 14 lbs! I was feeling bad about my peak of +8 since July! Jesse, do you find self-loathing a motivator like I do? Hah! No kidding Joel. I typically recommend that athletes keep it to 10 pounds over race weight during the “off season”. This keeps the risk of injury down (due to reduced force when running), and still allows hormones to return to normal and a full recovery to take place. Hi coach Jesse. I saw your results for the Jolly Jaunt 5k, not bad for carrying 14 lbs. Awesome job. I’ve been reading your blog for a while now. I must admit I’m a lurker here in the blog world. I enjoy all of your writting and advice you post on your blog. Thank you! No problems. Thanks for checking in Maria! 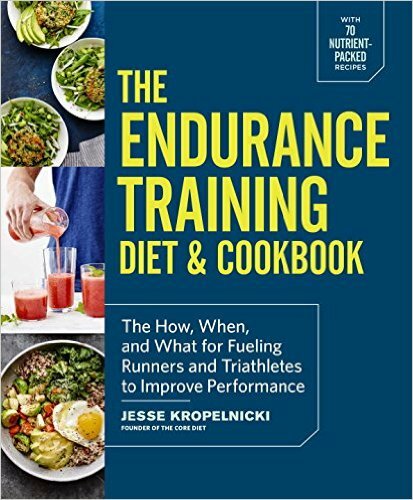 Hi Jesse- I stumbled on your QT2 website and Blog after talking with Dean and Marty this weekend about your nutrition analysis and Core Diet. We talked for a bit while they tweeked my bike fit and your approach to carb-timed eating is very enlightening. I am an average AG’er (12:30 1st IM at WI this year) looking to improve at the IM level (would like to go sub12, closer to 11 at IMFL next fall.) There are lots of things I can do to improve, but I really believe that body comp is a HUGE limiter for me right now (5′-8″ female, 150lbs) so I’m taking the offseason to try to improve on that and get leaner and more fit going into next season. I just wanted to let you know that I’m attempting to time my carb intake and make better food choices to help me see improvement next fall (I like your .62% and .42% tangible improvements per pound) when I see numbers I’m motivated! So anyway thanks for putting your information out there to help people like me…I appreciate the insight and knowledge that you offer. btw, great job in Kona, my husband and I were out there volunteering this year, what an awesome race!